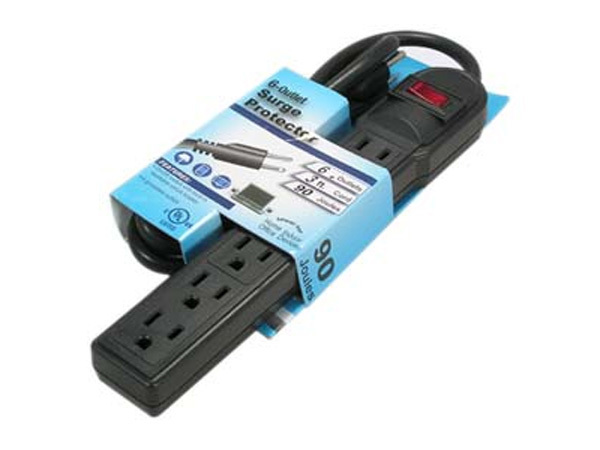 6 outlet black plastic strip surge protector with 3' cord. 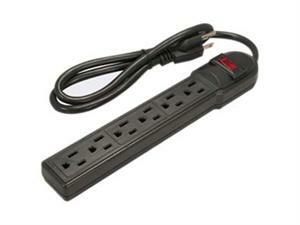 Designed for use with all office and home equipment and other light-duty appliances. Includes circuit breaker and high-impact flame retardant plastic housing.